Fantart: My latest fantasy painting ....... the bigger one! 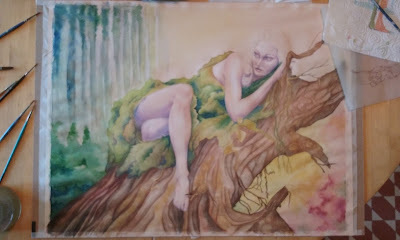 the website of the fantasy artist Fabiola B. Your personal logo: add your Video Logo!!! My latest fantasy painting ....... the bigger one! Today I have done a consistent step on the way ..... but it's never going to be finished!!!!!!! 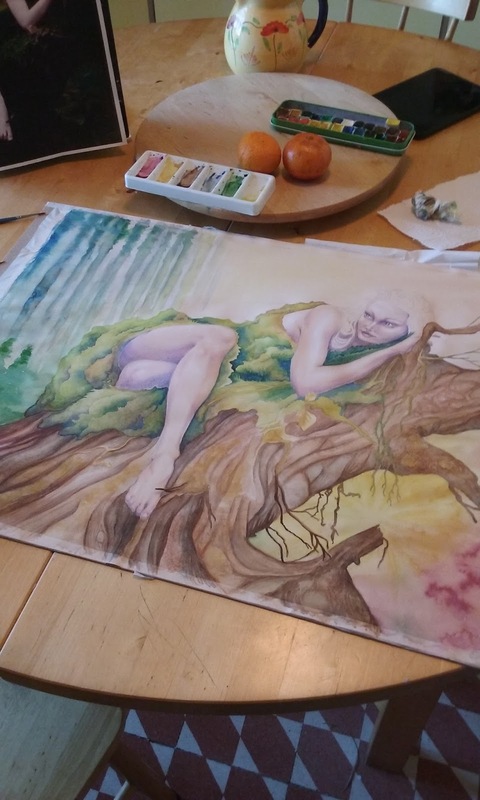 My next watercolor: a fairy or an elf? Support my art! Be my Mecenate!